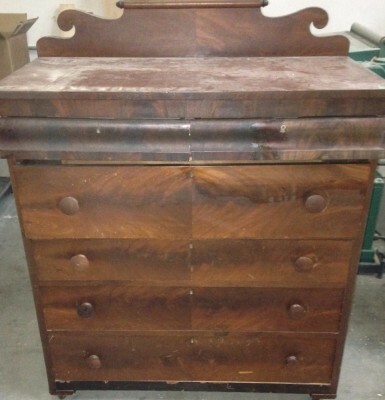 This shellac on this mahogany chest of drawers was dried out and had discolored. 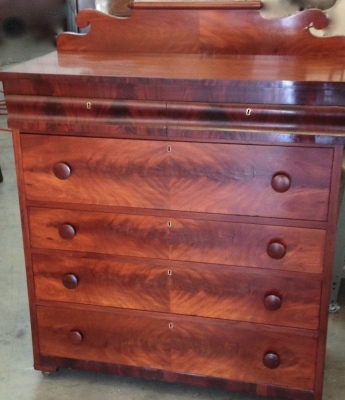 To renew the finish, we gently cleaned the chest with denatured alcohol and then french polished with an amber shellac. 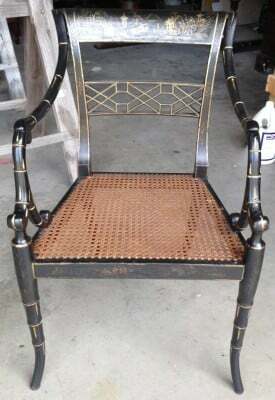 The black lacquer on this set of chairs had chipped off on most areas of the chair. To preserve the existing finish and beautiful handpainted scenes, we gently rubbed the chairs down to get any existing chips removed. 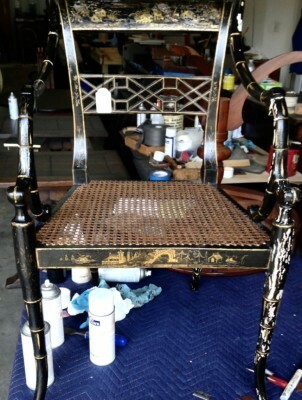 We then handpainted the damaged areas with black lacquer using small artist brushes. 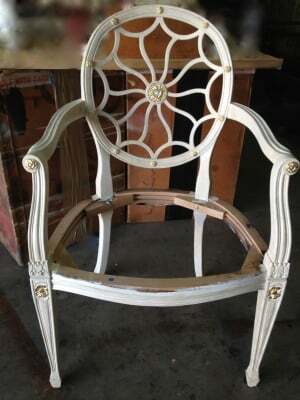 The chairs were then sprayed with a clear lacquer. 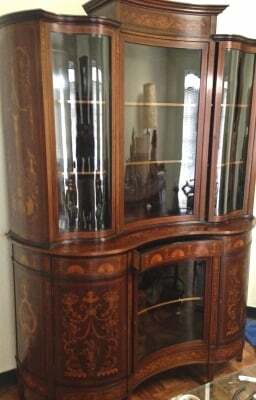 This beautifully inlaid china cabinet was one of 15 pieces that were in a house fire in which the roof caved in. The fire happened right before the tax day flood in 2016. 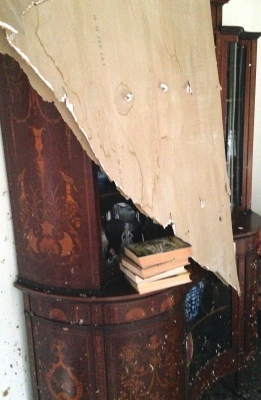 Because there was no roof, it rained into the house and on to all of the pieces. 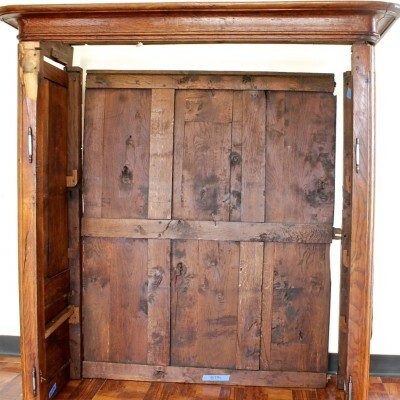 A couple of weeks later they were moved to our warehouse where all but one of the pieces were completely restored. We are specialists at water and fire damaged items. From small dings and chips, small or large scratches, burn and water marks to broken chair legs - we are specialists at repairs. 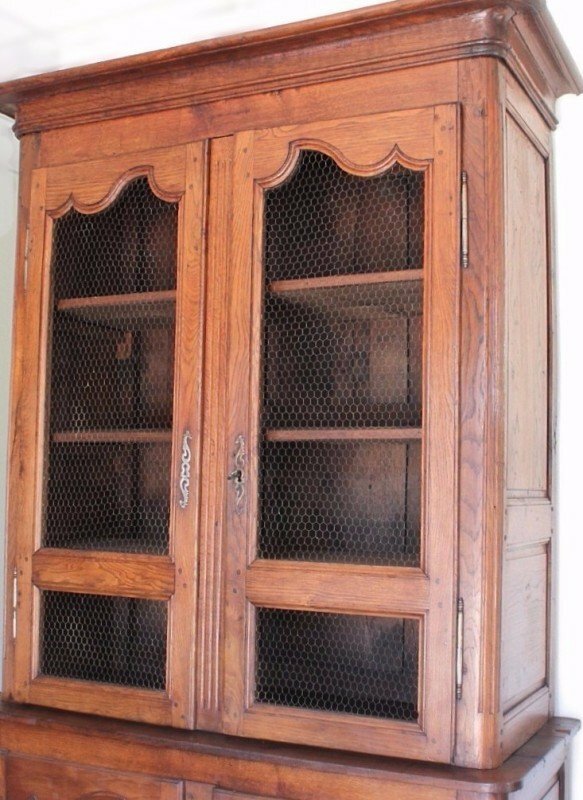 This beautiful French hutch met it's demise on I-10 when the top part flew out of the back of a pickup truck as it was being transported to its new home. Most of the large pieces were able to be picked up off the highway but some of the smaller pieces had to be recreated. 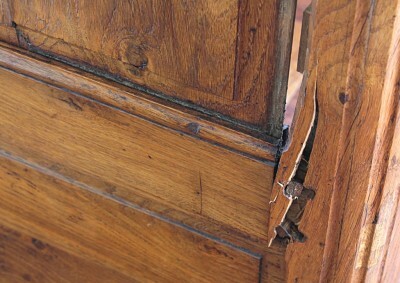 Repairs such as these are just one of our specialties. 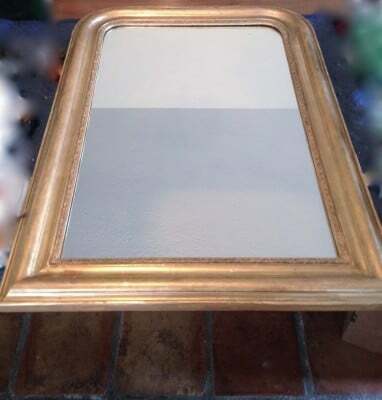 The gesso on this Louis Phillipe mirror was chipped and the wood joints were coming apart. We replaced the missing gesso and lightly carved in the existing flower motif. 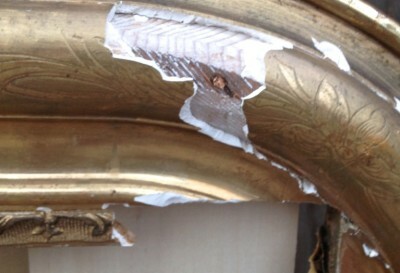 We then gold leafed the damaged areas. 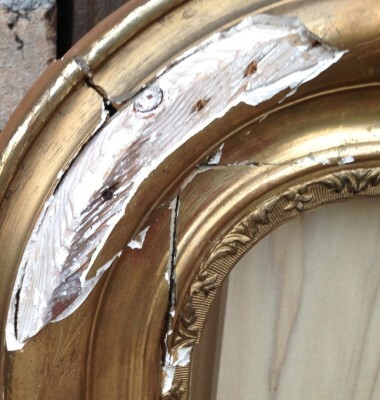 We are experts at gilding and repairing and reconstructing missing elements on any item. 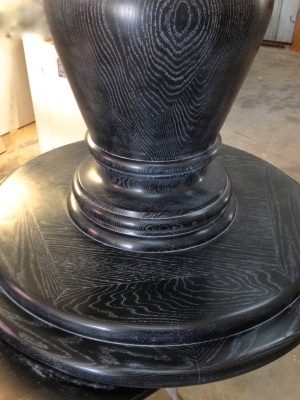 We are well versed in many specialized finishes - painted, cerused, bleaching, liming, chalk paint and lacquer. We can customize any piece - by adding or reducing the height to incorporating drawers and shelves, We can also add legs, as well as customize width and length. 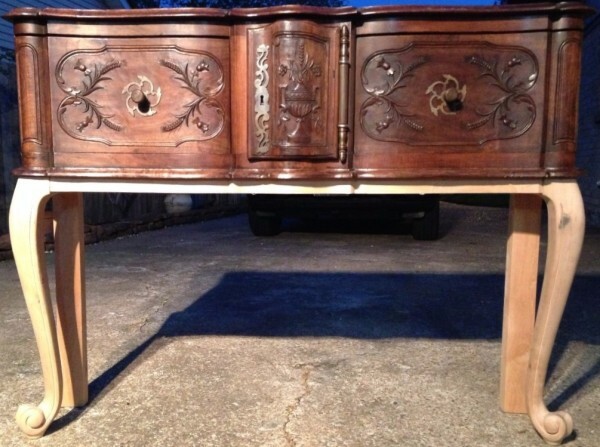 We also offer custom-built dining, console and end tables. We can also build dining table leaves and match theexisting finish of your table. We can also source, find and replace missing hardware and keys.